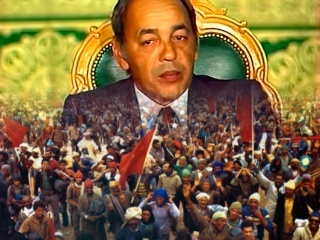 encore une fois dans son histoire,la roumanie "gele" un achat de F-16,cette fois-ci a cause de la crise financiere qui les a touché a plein fouet. 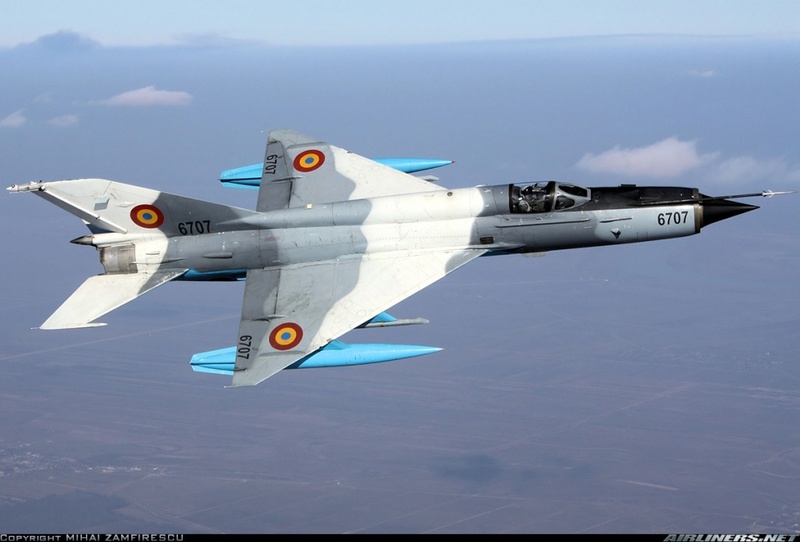 March 6, 2009 (by Lieven Dewitte) - The economic crisis seems to have complicated Romania's efforts to seal a planned multi-billion euro fighter jet purchase in the near future, a deal aimed at replacing its ailing Soviet-era MiGs airforce. Since the financial crisis accelerated in October, Romania has turned from being the EU's fastest-growing economy to one of its most vulnerable as big hard currency debt and budget deficits fanned external imbalances. Foreign Minister Cristian Diaconescu said on Tuesday the crisis weighed on Romania's plans to buy fighter planes to bring its air force up to NATO standards. "I don't expect to have this kind of big project very near in the future," he said. "For the time being, we don't have a decision with regard to purchasing new combat aircraft." Bucharest came close to finalising a purchase plan last year with government ministers saying a decision was only "weeks away" in September, but it was put on hold after November's election gave power to the new cabinet. -the Grippen from Sweden's SAAB and the Eurofighter from EADS. le passage de phase tracking-->locking-->shoot ne se fait pas aussi facilement que tu croit said,surtout si la cible est loin(6000m dans ce cas),si elle bouge,et surtout quand c´est jour et pas nuit(difference chaleure),mais le temps dans la video est correct,remarque que l´helico bougait mais le FLIR est gyrostabilisé(la video montrait comme fixe). a part les Pumas et les C-130 les autres choses doivent aller a la casse,en plus on dit pas "une armée beaucoup plus performante qu´une autre" sans specifier dans quel theatre?sur quelles bases? 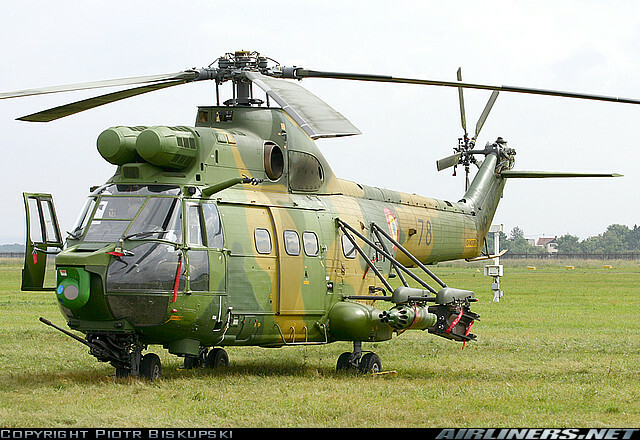 si ce n´est que le materiel sovietique,il est tout rouillant et loin d´etre performant,et c´est ce qu´ils veulent aussi renouveler avec cet achat de jets qui dure deja depuis debut 2000s sans se concretiser.. Le Puma Soca est une abérration ! Rajoutter 4 paniers de roquettes (à l'arrache ) plus 2 missiles sur un hélico qui n'est pas fait pour... niveau perf/maniabilité ça doit s'en ressentir, il doit plus voler très haut et en plus il met à temps fou pour vérouiller la cible ! 48 à 2,5MM! et ce sont des Gripen NG avec AESA en plus! je reconnais le NG à la forme de son reservoir interne élargie. effictivement en plus de ca le paiement aprés 5-7 ans de la signature du contrat, le gouvernement Roumaine est préte de couvrir la crise budgétaire roumaine, la mise en place d'un centre européen de maintenance et production à Aerostar Bacau. ils sont sur plusieurs fronts les roumains,celui ci,le F16 que les US lobbyent feroce,et les M2009 UAE qui interesse les roumains..
10:35 GMT, February 9, 2010 Terma has successfully completed its industrial cooperation program for the Romanian Marasesti Frigate as agreed with the Romanian Office for Offsetting Special Technique Procurements (OCATS). This achievement, reached ahead of schedule and exceeding the obligation, demonstrates Terma’s continued success in meeting its industrial cooperation commitments. Terma has successfully implemented industrial participation programs in several countries over the past 15 years. 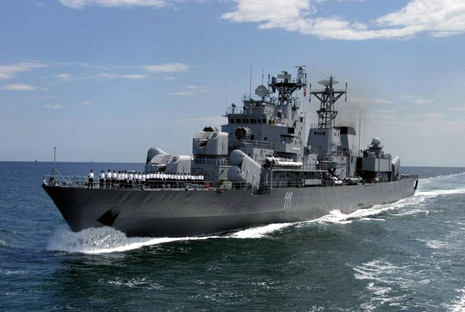 In December 2006, Terma was awarded a contract by the Romanian Navy to deliver a command and control system for the Romanian Marasesti Frigate. Terma’s C-Flex Command and Control Systems offer a scalable and competitive NATO compliant solution. In accordance with Romanian legislation, Terma entered an offset agreement with OCATS for the fulfilment of the offset obligation from March 2007 and until March 2010. "It has been a great pleasure to cooperate with OCATS and great Romanian companies. For Terma, it is very important to work closely with the national offset authorities in order to understand the intent of the offset requirements as defined by the government. After three months of fruitful dialog with OCATS and selected Romanian companies, we were able to sign the offset agreement between the parties," says Michael Rasmussen, Director of Industrial Cooperation. “We are very proud to finish ahead of schedule and look forward to working in Romania during the coming years”. The main content of the Terma offset program included the two Romanian companies Navtron and Syscom 18 Srl. “This is two great companies, and we are very impressed with their capabilities,” says Michael Rasmussen. Navtron and Syscom 18 Srl. have a long lasting track record with the Romanian Navy. In addition, the cooperation with well-known, international hi-tech company Terma has provided a long-lasting experience in modern procedures for hardware development as well as hardware and software testing in order to become even more competitive within the defense market. As part of the cooperation with the Romanian Navy, Terma has now implemented not only a new command and control system on the frigate, but also a new shore-based training system that supports the seamen in realistic training of naval command and control including the NATO link system.